» WebPower - Content Management. 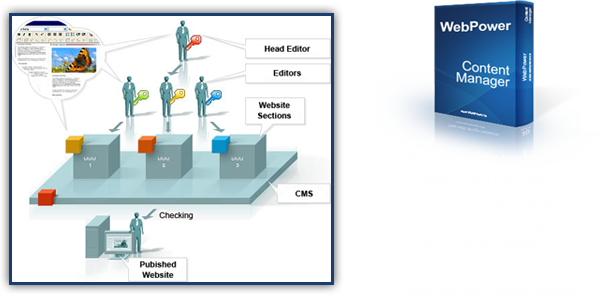 The WebPower Content Management software is designed to give the site designer control while allowing other users safe editing capabilities. Manage your web site using our simple content management software. Simply open the page in your web browser from any computer any where in the world and press the enter button on your keyboard three times to maintain your own web site.